The very best hotel pools are more than an outlet for exercise or a place to relax. A well-designed outdoor pool with a picturesque view can act as a centerpiece for an entire property, bringing the hotel into harmony with its surroundings. A stunning indoor pool can be a place of peace, offering respite from the outside world. Our members found the following three pools the hardest to leave. It took an act of Congress to obtain the rights to build here, on 600 acres of wind-swept terrain high in the Utah desert. And while the severity of the architecture may blend perfectly with the stark surroundings, it’s the main pool, which wraps around a jutting sandstone mesa, that is the resort’s most extraordinary feature. 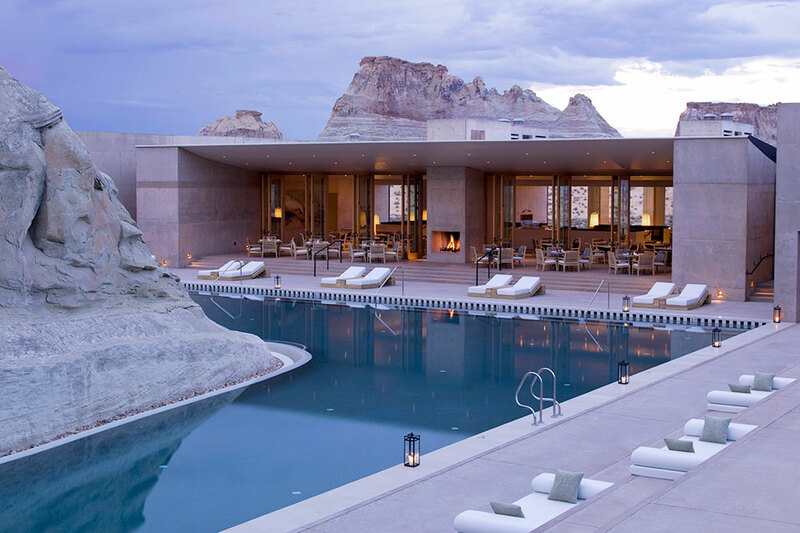 Amangiri topped our editors’ list of “The World’s Most Stunning Hotel Pools,” so why wouldn’t it be number one for our members? Few places have ever embodied the phrase “desert oasis” so completely. Other water-based highlights: The 25,000-square-foot spa offers “flotation therapy,” which enables guests to experience weightlessness in water from the Dead Sea. Set on the unspoiled eastern coast of Bali, it’s only appropriate that the design of Amankila’s main pool was inspired by the island’s terraced rice paddies. 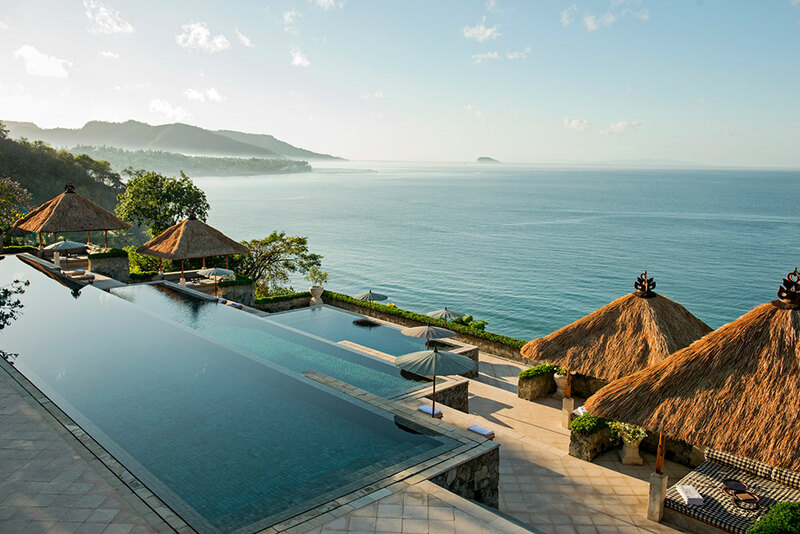 The sensational three-tier infinity pool cascades down the hillside, while from nearby balés (thatched-roof structures) guests can take in the unfettered views of the Lombok Strait. Steps snake down to the beach, where a 135-foot lap pool is ideal for those in search of serious exercise. Pool Suites come with private infinity pools and outdoor terraces. For Hideaway Report members, winter is the high season at Amangani, a glamorous ski getaway crowning the 7,000-foot East Gros Ventre Butte. However, breathtaking views of the Tetons and Snake River Range, as well as proximity to Yellowstone National Park, make this a year-round destination. 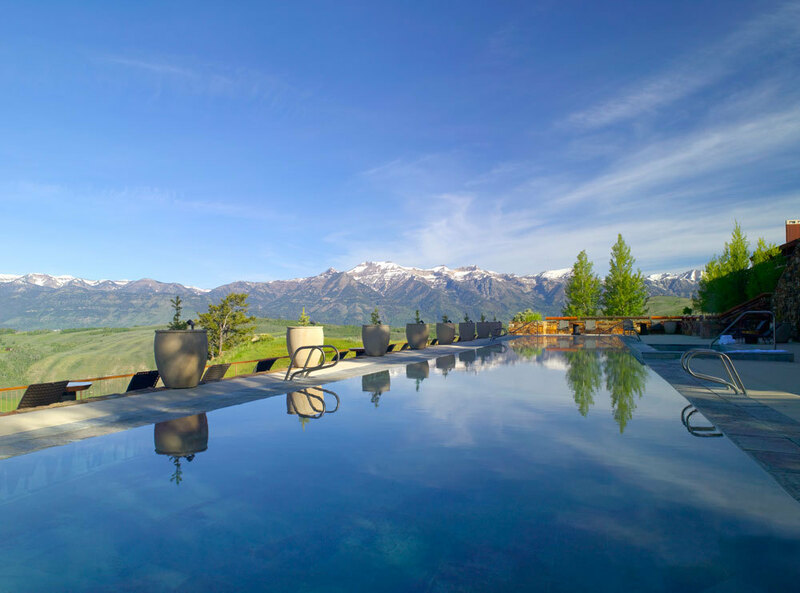 The snow-capped mountains are best viewed from the 115-foot heated pool (with attached hot tub), or from one of the poolside lounge chairs on the sandstone terrace. If there ever was an ideal place to enjoy après-ski cocktails, this is it.